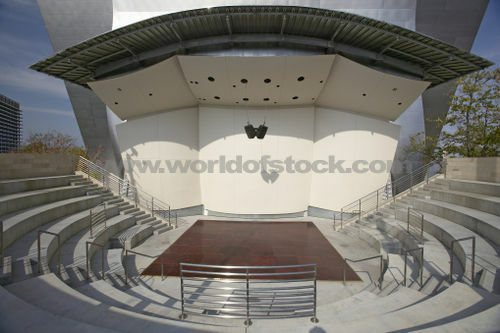 [ Thanks to Acumen's intervention, there is now a stage set up in one of the bigger parks in Sector 4. Volunteers and bots are bustling about making sure everything's in place and are helping spectators to their seats. Talents are backstage, making sure their costumes are alright, voices warmed up, instruments properly tuned and strung. Please make yourselves comfortable, gentlepersons and gentlecreatures, as you all celebrate a night of music and laughter at the Marina Talent Show. [ Performance ] - for performers so as critics and fans can tag with their appreciation. [ Open Mic ] - optional for non-performers and set after the show; have some poetry reading? Sing a song? Bit of a dance? I have always wanted to live in a bubble, just to see how it's like. Do you suppose we'll start floating if we wait long enough? Well, I suppose I could always try again, if it isn't? Hello, people of Marina! It seems we are to be prisoners together! I earnestly hope this won't be the case forever, but until our stay here is finished, then I feel it is only right and proper to introduce myself to all of you, so we may come to be comrades and work together well as quickly and smoothly as possible! I am Maito Gai, the Proud Green Beast of Konoha! It's a pleasure to meet you all; please allow me the honor of your friendship, and the privilege of any further knowledge about this place that you've acquired! Together, our strength and the fruits of our hard work will know no bounds! [And then suddenly there's nothing. Well, unless you're near by the lunch hall, then you'd see Sora furiously pressing buttons and scowling. Riku, if you can hear this, can you use this thing to call me back? Sorry for just running off like that. But I thought you were right behind me, honest. Until I looked behind me and you were gone. Oh, and if anyone else can see this, I'm Sora. I'm new here, and can't wait to meet all of you! Well! A vox, pictscreen, and translator, all at once—what an intriguing little piece of heretek this is! Completely unsanctified, of course. Any devout servant of the Omnissiah would break it to pieces in an instant. But, as it seems I’d hardly be able to get anything done without the thing, perhaps some transgressions may be pardoned, under the circumstances. Isn’t there another soul here who speaks proper Gothic? Oh dear, but I am getting ahead of myself. Magos Felicia Tayber of Perlia, reporting. To ask the first of innumerable questions, now that I’ve a way of reaching a wider audience: just where, in the name of the Emperor, have I fetched up? On what warp-cursed rock the Eloquois Ocean is located on, I’m afraid I haven’t the foggiest. And stops. There's an abrupt silence as he realizes he's not at school anymore, and that he's got some weird kind of headpiece on. [Better hope your devices have audio equalizers, otherwise ouch. You can add "broken eardrums" to his list of crimes. Hello? Hm~ I wonder what this thing does? I've never seen anything like it before. Oh no! Did I manage to sleepwalk out of it? That means I'm lost or-- wait is this a [Raenef flails a bit, looking very panicked as he notices the the iron ball attached to his foot] ...kidnapping?! ...Teleport and get out of here, yeah! Eh? It's not working? ...The only thing I can get right and it doesn't even work to get me back! Don't tell me I lost my powers?! Eclipse, please don't get mad at me for this! It's not even my fault-- ! Ah, um, hello! My name’s Yako Katsuragi and I’m a detective from Japan. I’m new around here but I’ve got the basic idea of this place, even if I still can’t help thinking this is somehow Neuro’s fault even if he's supposed to be back in Hell thanks to the brochure. But I’ve got a small question. Can someone direct me to where I can get some more food? That welcome basket only lasted me five minutes, I’m so hungry. And do we have to pay for food around here? Because I don’t have that much money on me after my favorite takoyaki stand raised their prices... Why do I get the feeling they only raise their prices when I'm there. [ It's beginning to become dark outside, but he's hardly cared to notice. In the Education Center, most of the lights have shut off, save for a few that are in a lab. What appears to be a distilling apparatus has been created, along with a few other experiments. Those that pay particularly close attention to feed might be able to hear a small humming in the background. This is the lab's fume hood. I've been hearing that there was a warden in place before Acumen. Are there any among you who know about it, or have been here under its regime? Inquiring minds would like to know. Also, if the Head of the Defense Force is about, I should like to speak with them.